A while back at the WorkOf show at Industry City, I got to see Daniel Moyer’s work for the first time and it really jumped out at me. It’s obviously very high quality but his style is also totally unique. It has something of an Asian or Japanese influence, though to be honest, I can’t really say why. Luckily when I suggested this to him he agreed, saving me from some embarrassment. 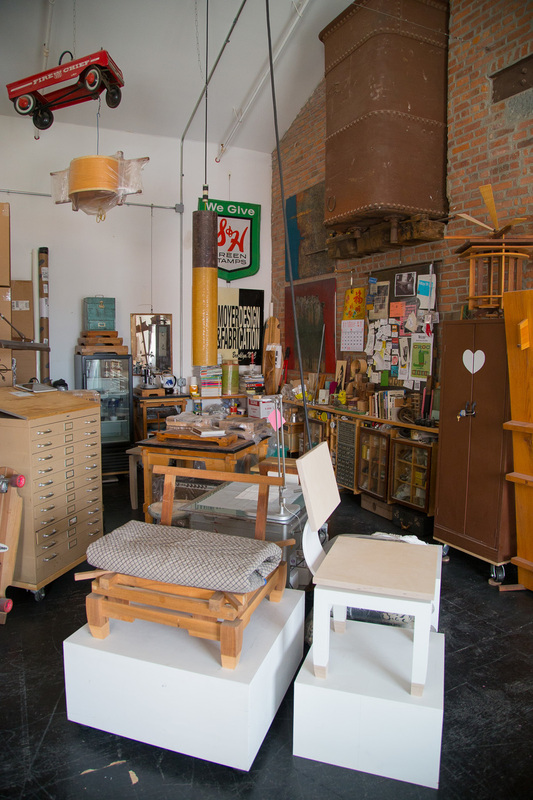 So I was pretty excited to visit Moyer in his Bushwick studio recently to take some photos. Moyer is working on the body of a double-necked bass guitar. Moyer is a classically trained guitarist and worked for much of his life as a guitar instructor in Manhattan. Though in the mid 2000’s he says he began to get a little itchy and really wanted a change. 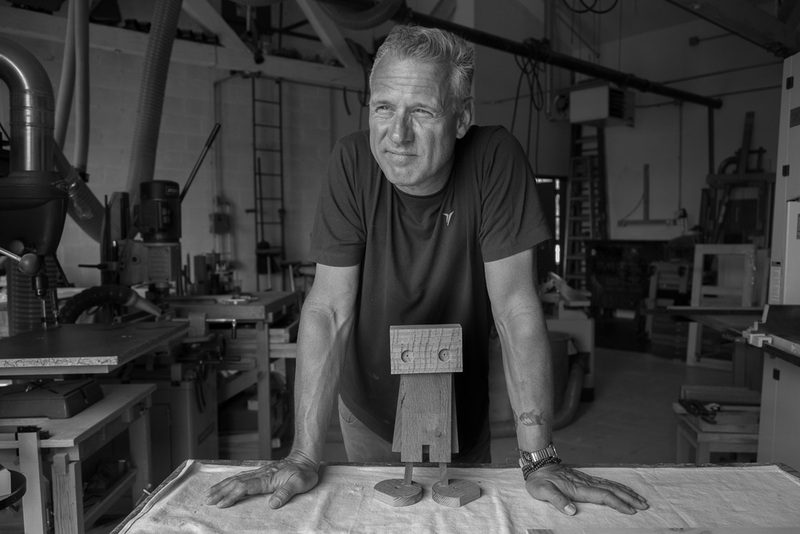 He grew up working in his father’s shop on Long Island and while he was teaching guitar he was also moonlighting as a finish carpenter on construction jobs and building custom pieces as well. 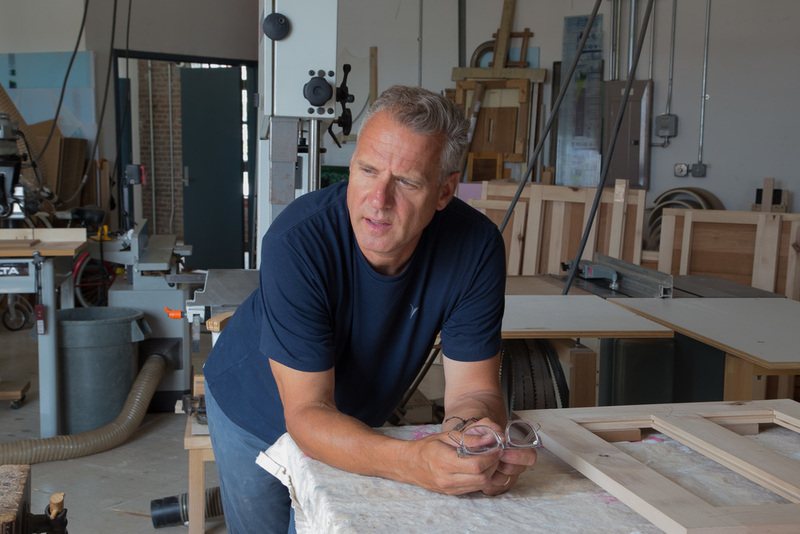 So when the the time came, it was a natural shift to open a studio and go at woodworking full time. Did the formal music training influence Moyer? It must have. Just looking at his work you see an obvious respect and total commitment to craft and quality. It’s the work of someone who has mastered an art. One of many pieces Moyer has in his shop. Specifically Moyer’s pieces feature finely finished wood. His chairs are engineered and well thought-out and sometimes feature a dizzying number of joints. 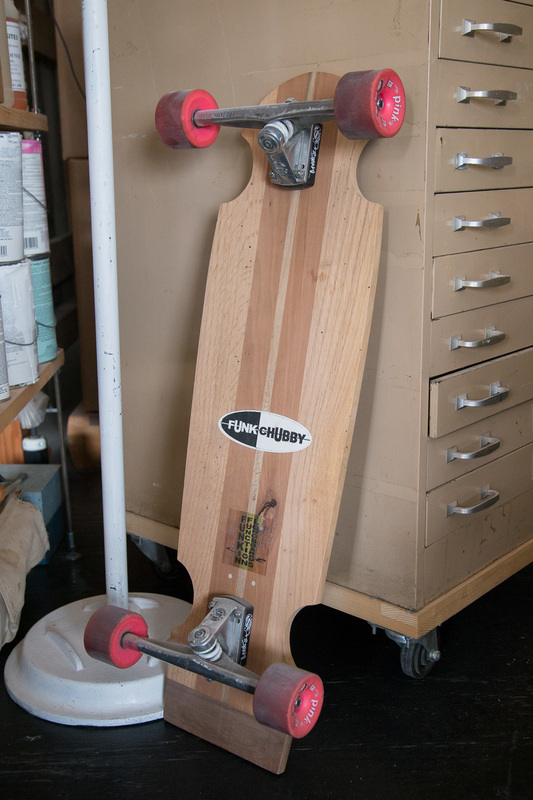 What you don’t see is unfinished or reclaimed wood, a style Moyer shuns. Not all of Moyer’s work is as serious though. And just getting to spend a few minutes with him in his shop, I found him to be a laid back guy and easy to shoot the breeze with. 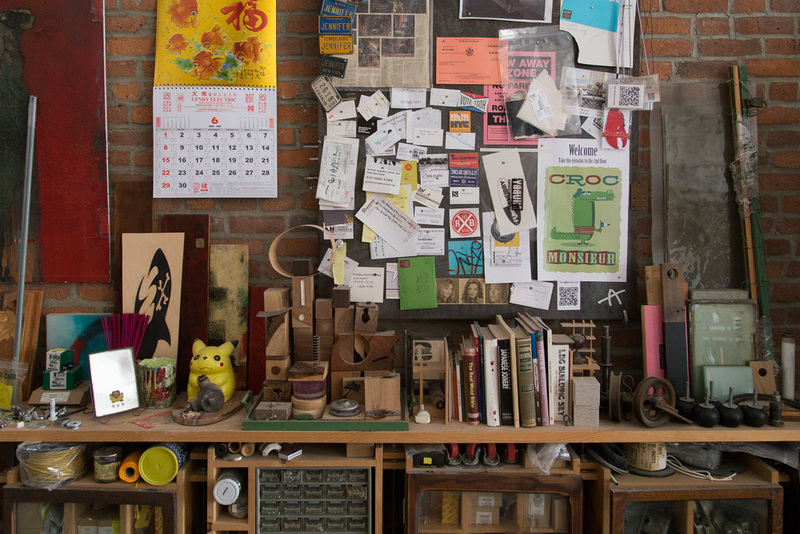 On a lark a few years ago he decided to make a skateboard and that quickly blew up into its own business Funkin Functional Longboards, thanks in part to a Wall Street Journal article. He’s also working on a new product line that will play into that playful side, though details are forthcoming. For now Moyer is also busy rehabbing his Fire Island home which like so many places, suffered a severe hit from Hurricane Sandy. You can follow that project and a myriad of others on his Instagram and his tumblr is FULL of amazing photos of his work as well.